Prime Minister Prayut Chan-o-cha praised Thung Yai Naresuan wildlife sanctuary chief Wichien Chinnawong and his men for doing their job straightforwardly in making the arrest of business tycoon Premchai Karnasuta’s party for alleged hunting. He also urged all government officials to do their jobs properly with full awareness of their duties so that they could be relied on by the people. The prime minister said today (Feb 10) that the government had attached importance to the protection and rehabilitation of natural resources and wildlife and also the suppression of all forms of corruption. The offenders, he added, must be dealt with in accordance with the law without exception as he asked the people to have faith and confidence in government officials. 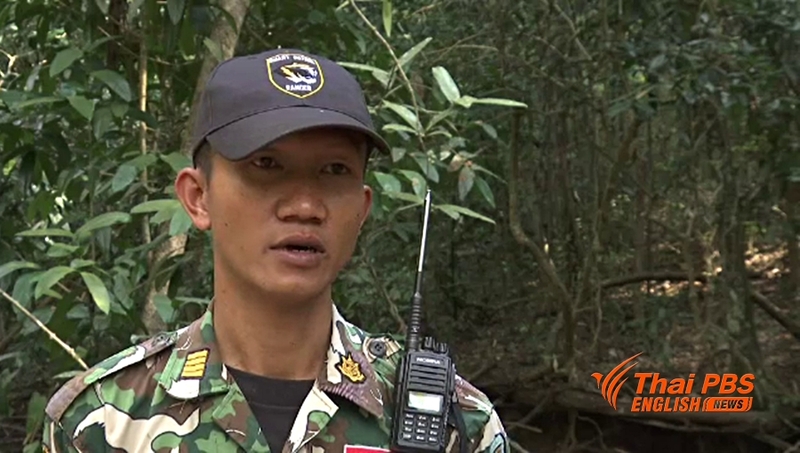 Meanwhile, the Latya task force of the Kanchanaburi-based Surasee Task force was ordered to deploy an eight-man team to help forest rangers of Thung Yai Naresuan wildlife sanctuary in patrolling the western part of the sanctuary to prevent wildlife poaching. Col Pichet Hassadeephol, deputy commander of the 29th infantry regiment and deputy head of Latya task force, said the mission of the 8-man team was to support the forest rangers so that they feel safe from intimidation from influential figures. Meanwhile, a group of environmental science students of Phayao University announced today that they will wear black panther’s masks on Tuesday (Feb 13) in Bangkok as a symbolic campaign for people to be aware of and to protect their natural resources. Mr Kittipong Wongsam, a fourth-year student of the faculty of energy and environment of Phayao University and president of the university’s environment conservation group, said that their symbolic campaign was also intended to give moral support to the forest rangers of Thung Yai Naresuan. “We will announce through the media for all universities which have environment groups to hold symbolic activities on their respective campuses to call on everyone to have awareness of the importance of natural resources, wildlife so this biological diversity will be sustainable for our next generations,” said Mr Kittipong.